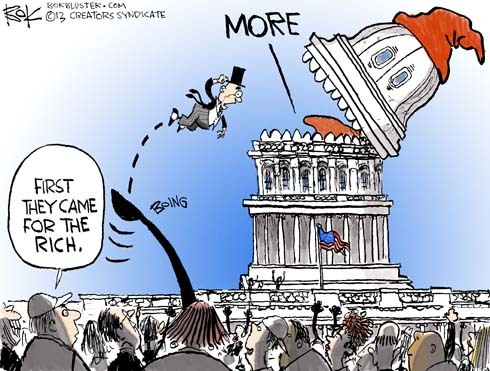 The tax hike on the rich to avoid the fiscal cliff will bring in 60 billion dollars. This year’s deficit is a trillion dollars. 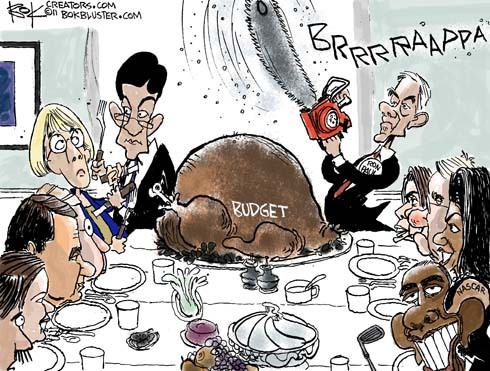 The president doesn’t want to cut spending. Stay tuned. Not long ago the big brothers and Big Sis’s of the Obama administration took to referring to themselves as the “federal family”. Embrace your kin – the most dysfunctional family ever. Happy Thanksgiving! 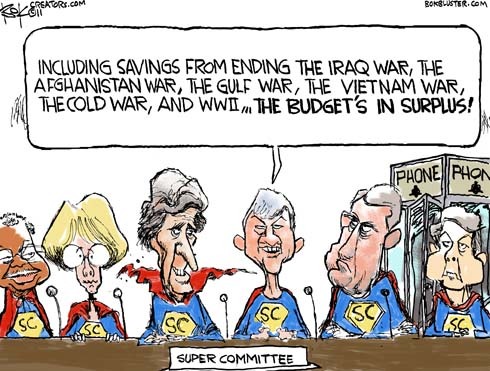 Democrats on the Super Committee want to use savings from the Iraq War to fund new stimulus. This idea came from this Mark Steyn column. 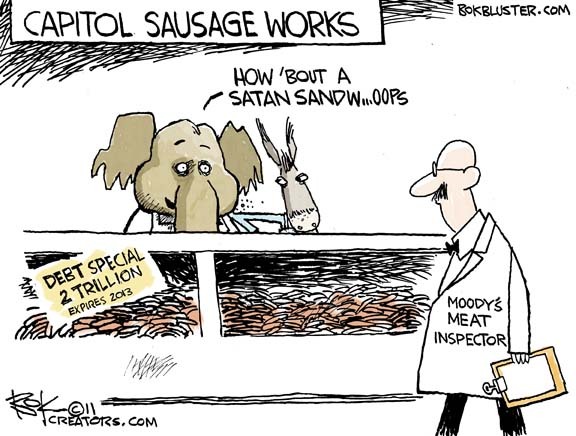 President Obama signed $2.4 billion of new debt ceiling sausage into law. The Beaver’s evil twin, Missouri Democrat, Emanuel Clever, called the deal a satan sandwich. The stock market took one bite and retched up its remaining green gains for 2011. 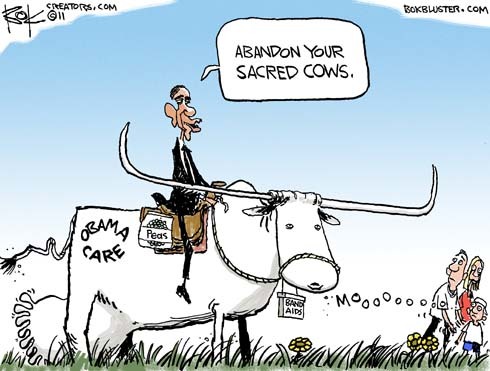 The president is sharing the sacrificial bull till the sacred cows come home. He has the Republicans where he wants em, continue building on his 24% grab of the economy or take the blame for a social security scare.